By purchasing Live Fish from us, you are agreeing to Our Terms and Conditions of Sale. PLEASE NOTE WE ARE ONLY ABLE TO SEND LIVE FISH TO MAINLAND UK ONLY. THEREFORE WE ARE UNABLE TO SEND TO IRELAND, THE CHANNEL ISLANDS, THE ISLE OF WHITE OR THE SCOTTISH HIGHLANDS. All of our live fish are sent on a next day delivery signed for service according to the schedule below. 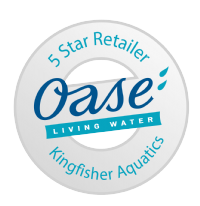 All orders of Live Fish over £50 are sent Free of Charge. All orders of Live Fish under £50 are subject to a £9.95 delivery charge. Please ensure that you select the £9.95 Live Turtle/ Fish Carriage Service when prompted when ordering. Any orders made with the 2-5 day service or the £4.95 Next Day service will be rejected. If you would like your Live Fish on a specific date please call or email after ordering so it can be arranged. We are only able to send Live Animals for delivery on Wednesdays, in order to get a Wednesday delivery, orders must be placed by 2pm Monday- Any orders received after 2pm Monday will be put onto the next following Wednesday delivery. We offer a, 'Arrive Alive' Guarantee on all our live Fish. This means that should the fish arrive dead or die within 24 hours of you receiving the Fish, we will send out a free replacement. Due to the inherent risk of moving livestock we will only offer a free of charge replacement once. Please note, the 24 hour guarantee period starts from when the parcel is signed for. We must be notified via email with picture attached within this 24 hour period. Replacement fish we be sent at our convenience. We do not give refunds on fish, only replacements. Please note, the guideline lines we offer on the behaviour of fish are only guidelines. We accept no liability for consequential losses caused by the behaviour of fish purchased from us towards fish that you already have in your tank. All of our Live Fish are quarantined before sale. They are checked to be in good health and free from any sign of disease before being sent. However, we unable to accept any liability for consequential losses caused by disease (bacterial or parasitical) to your existing fish stock by the introduction of our fish. Make sure you properly acclimatize your aquatic life to help them adjust to any changes in temperature, salinity and PH. Turn off the aquarium lights. Then open the bag and add some aquarium water. If you roll down the sides of the bag it should float on the surface, make sure the bag is now left open. After 5 minutes add some water to the bag. After another 5 minutes add some more water to the bag. After another 5 minutes release the aquatic life. Keep the lights turned off to help them settle in and reduce the risk of aggression from established fish. Always follow the procedure above even if the fish looks sick. Some fish when stressed do lie down but will quickly recover in the aquarium. Float the bags for 10-15 minutes to adjust the temperature. Then open the bag and add some water. If you roll down the sides of the bag it should float on the surface, make sure the bag is now left open. Always follow the procedure above even if the fish looks sick. Some fish when stressed do lie down but will quickly recover in the pond.